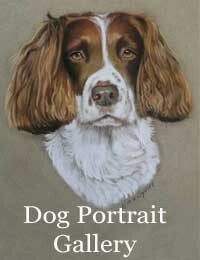 I started drawing pet portraits, people’s dogs, horses and pet portraits in pastel whilst at school in Devon. I didn’t realise that pet portraits would be a support throughout my Illustration training. 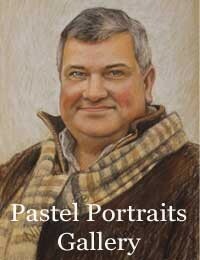 When others worked at bars or festivals I had a steady trickle of pastel portraits through recommendations. I was especially well known for dog portraits, especially working dogs. I moved to Dorset ten years ago from Devon and now take private commissions for a range of subjects including animal portraits, people and favourite local scenes. I continue to teach pastel painting, portrait and life drawing. I regularly demonstrate my pastel equine paintings at countryside events, I’m artist in residence at Larkhill Point to Point and many of the local shows. Last year I was invited to be artist in residence at The New Forest Show and the Devon County Show with my work featuring in their pre show publicity and during the event in local newspapers. I work mainly in pastel but I have developed a range of styles to suit the variety required for commercial Illustration. I’ve been taking pastel pet portrait commissions for over 15 years and I am more than happy to take on a variety of subjects. I’ve been drawing dog portraits for over 20 years. 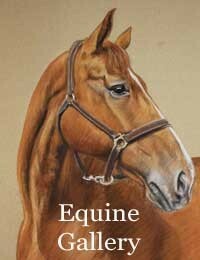 My animal portraits in pastel are collected and treasured both locally and internationally. I work mainly in pastel taking commissions and exhibiting throughout the South West, including Falmouth, Cornwall, Barnstaple, Devon and more recently Dorset and New Forest. My animal portraits aim to capture character and create a lasting memory to cherish. I like to meet the animals but equally can work from treasured photos. I studied illustration at Falmouth College of Arts and started working as an illustrator fifteen years ago. It has now developed into a range of commission-based work, recently including beautiful family homes, prize winning cattle and pets and family pastel portraits. 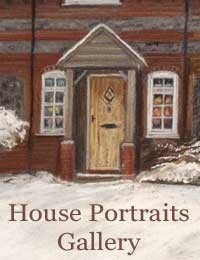 I take on many of my commissions for Christmas or special occasions, including weddings and anniversaries. Gift vouchers are an ideal gift to contribute towards a pastel portrait and the perfect idea for friends and family who deserve a special treat that lasts forever.